If you are looking to send money online to India, Mexico, the Philippines, or a host of other countries in Central America, South America, or Asia, Remitly offers competitive rates and fast transfers. Customers in the United States, United Kingdom, and Canada send over $4 billion each year to loved ones using Remitly, which makes it the largest independent digital remittance company. 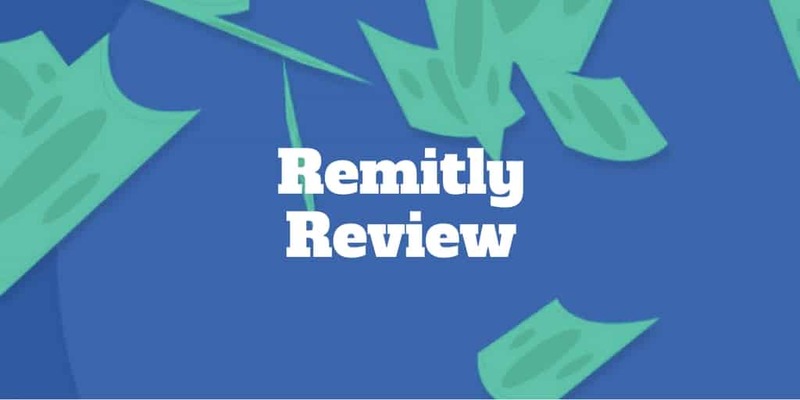 Remitly has established a network of over 40,000 bank and cash payout partners so whether you are sending money to Vietnam, Peru, Nicaragua, Colombia, El Salvador, or countries in between, there is a good chance Remitly can get your money where you want to send it. You can transfer money via credit card, debit card, or bank transfer. When you need to get money to your loved ones quickly, a surcharge is generally added. The extra cost means your money transfer arrives within minutes. If you are not in a rush, you can stick with Remitly Economy and pay no extra fees. How Much Does Remitly Cost? Which Countries Can You Send Money To Through Remitly? How Much Can You Send With Remitly? When sending money abroad is not time sensitive, Remitly Economy is your best and cheapest option. You will need to make the transfer by bank to avoid credit card fees and it takes up to 3 → 5 business days for funds to arrive. On the other hand, when you need money to arrive quickly, Remitly Express is the best choice because transfers are instant and can be done by debit card. The cost of using Remitly Express is usually $3.99 per transfer depending on the amount you send. Credit card transactions are subject to a 3% surcharge. Let’s say you are sending money to the Philippines for example. How much will it cost you? If you are sending U.S. dollars, other costs are charged depending on the amount you send and how fast you want money to arrive. You can send money online to Central America, South America, and Asia. To send money to your loved ones abroad, you simply need to sign up to Remitly with your name and email address. The next step is to enter the U.S. dollar amount that you want to send. Once you select the USD amount you want to send, the amount received in the local currency will display based on the current exchange rate. You can choose how fast you want the money to arrive using the Express or Economy selections, which will result in funds arriving instantly or in 3 → 5 business days respectively. Next, select the delivery location, whether Cash pickup or bank deposit. The final step is to let Remitly know who you are sending money to as well as the person’s address. Once you submit the transfer, you can track it every step of the way. Remitly promises to get your money to your loved ones in the time promised or get your money back. When you first sign up, you will be restricted to sending no more than $2,999 within any 24 hour period and no more than $18,000 over any 180 day period. Remitly will classify you into one of three tiers depending on how much personal information you provide. 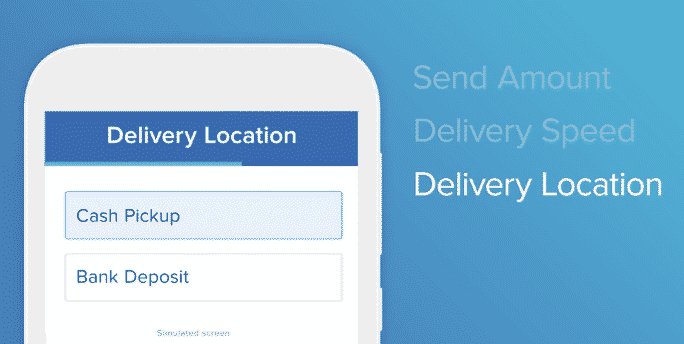 ✅ Same-day Delivery: You can send money almost instantly using Remitly Express. ❌ Credit Card Fees Passed On: A 3% fee is passed on to customers who send money abroad using credit cards. ✅ Multiple Payment Methods: Bank transfers, credit cards, and debit cards can all be used to make payments. ❌ Exchange Markup: Remitly charges a markup of as much as 2.5% on mid-market exchange rates. ✅ Mobile & Website Compatible: Remitly is mobile compatible so you can use any iOS or Android device, or a web-based interface. ❌ Rates & Fees: The rates are competitive through Remitly but are not the lowest in the industry. ✅ Bank & Cash Delivery Options: Whether your loved ones prefer bank or cash delivery, Remitly can support both delivery types. Even supermarkets like Walmart can be used as pickup locations. ✅ High Transfer Limits: As much as $10,000 can be sent in a single day. ✅ Remitly Promo: First-time users enjoy attractive promotional rates. ✅ Exchange Rate Locked In: From the time you initiate a transfer to the time money is delivered, your exchange rate is locked in, even if it fluctuates unfavorably during the transfer period. ✅ Customer Support: Phone support is available around-the-clock every day of the week in English. Where Remitly shines is the speed with which it can deliver money to loved ones and friends. Same-day delivery is possible for a fee but, if sending money abroad is not urgent, you can side-step the extra fee using Remitly Economy, which means funds arrive within 3 → 5 business days. Remitly also wins points for making it possible to transfer money via mobile phone, whether Android devices or iPhones, and features high transfer limits, especially after you provide requested identification. On the flipside, Remitly will pass on fee charges to you if you want to send money by credit card. And it will also tack on a spread markup to the mid-market rate, though it locks in the exchange rate from the start of the transfer through to completion. The bottom line is Remitly is a fast way to transfer cash abroad to Asia, Central America, or South America, and doesn’t cost an arm and a leg to do so. Remitly Mexico: Sending money to family and friends in Mexico is straightforward. Remitly is registered with the U.S. Department of Treasury and authorized to do business in all 50 states, so you can be confident in sending your money from anywhere in the United States to Mexico. 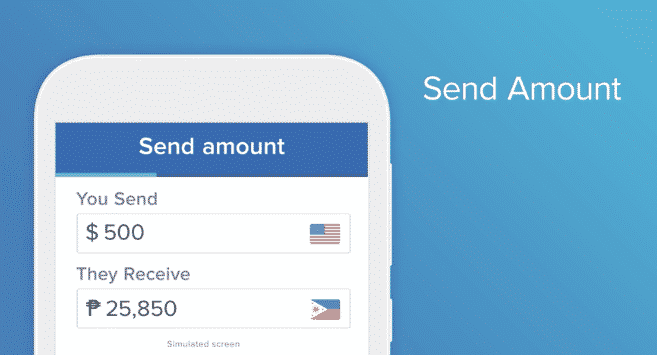 Remitly Philippines: It is simple to send money abroad to the Philippines too. Compared to Western Union and Xoom, Remitly rates are highly competitive. During our research, Remitly was slightly more favorable than Xoom and Western Union came last. Remitly is backed by some of the best known venture capitalists, who have invested over $100 million into the company.